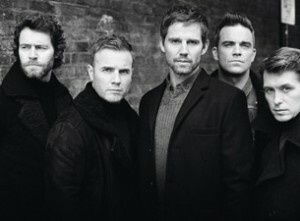 Take That 2011 Tour: Ticket & Hotel Packages! NEW TICKETS HAVE BEEN RELEASED FOR TAKE THAT AT WEMBLEY STADIUM! CLICK HERE TO BOOK YOUR TICKETS NOW! Take That are once again on tour, and this time they have Robbie back too, so you know that this is going to be a show you want to see! The tour, called Progress Live 2011, is said to be a feast for the imagination, charting the evolution and progress of Take That and Robbie Williams through their 20-year history. The live shows will celebrate Take That‘s biggest hits from the last two decades, and will also see Robbie take to the stage to perform songs from his chart-topping solo career too – safe to say then that there will be a fair few songs you know! We know that tickets will be selling at a ridiculous pace, so we thought we’d instead help you out by telling you about all the packages you can purchase, which include tickets and hotels! These tend to take longer to sell and they mean you can watch Take That and relax in a nearby hotel! There’s also some very special VIP packages for you to check out too! And just in case you can’t find any available tickets there, then click here for definite tickets!